“Once met, never forgotten” – Earl has a larger than life personality and is guaranteed to create an impact. His energetic and empathetic facilitation style reaches the audience on an intellectual and emotional level, creating a long lasting positive learning experience. 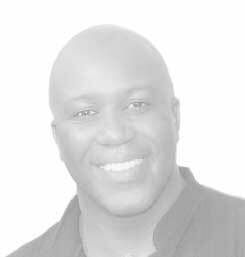 Earl's training and delivery style is engaging, memorable and highly business relevant, his passion lies in the delivery of outstanding learning and development programmes, conferences and events. Earl truly makes a difference to the people who invest their time and energy to attend his workshops. For many years Earl has worked with Microsoft, developing and delivering worldwide sales training. He was also lead facilitator for onboarding training of new recruits throughout Europe and latterly for the global programme. The success of these initiatives culminated in Earl winning a prestigious trainer recognition award from Microsoft in 2009. Previous to this, he worked in the housing sector as Training and Development Manager, utilising his Masters in Human Resources Development. Earl had a 3 year spell in the music industry as a professional musician, attaining a number one single in the UK reggae charts, and 24 years’ as a basketball coach.